We had a few inquiries this week from concered parents who have their kids in daycare. The parents were concerned after a toddler unexpectedly died at an unlicensed daycare in the City of Vaughan, just north of Toronto. If you haven’t read about the story, here’s a great article from the Toronto Star. The article shows a photo of the daycare; which, for all intents and purposes appears to be an ordinary, single family detatched suburban home. Investigations have yet to reveal the cause of the child’s death. We don’t know if the child died on account of poor supervision, or on account of natural and sudden causes or otherwise. Either way, it’s a tragic story which has raised a lot of concern from the community and the rest of the province of Ontario. Parents have called me this week asking if there are any legal steps or legal action which they could take should that, or a similar situation occur to them and to their families. First and foremost, wrongful death or accidental death cases are always very difficult for all of the parties and emotionally taxing. One of the key witnesses to provide evidence is the party who passed away. So, right off the bat, we are missing a big part of the story from the person to whom the injury ultimately impacted the most. Can we sue the allegedly at fault day care? Sure we can. You can sue for pretty much anything! But, whether or not your case has merit, or whether or not you can recover any financial compensation from the case is a different story all together. Let’s assume that this daycare was a hideous facilty. There were over crowding issues, safety hazards a plenty, it was a filthy mess, and that the kids were left unsupervised with sharp scissors and lots of hazardous glue. Let’s assume that at trial, the Judge and Jury make findings that the owner of the daycare was completely negligent and failed to do their job every step of the way. Because this facilty was not licensed, or not regulated, they don’t have to follow the same set of rules as a regulated facility. They might not have any form of business or liability insurance in place. So, if a judge and jury were to award the deceased and their family $1,000,000; recovering that sum might prove to be very difficult, if not impossible. There would be a very good chance that the Defendant nursing home along with its owners are what we lawyers call “judgment proof“. You can’t get blood from a stone. So, that $1,000,000 judgment you were just awarded at trial might really be worth ZERO if the Defendants have no assets. First rule of litigation and being a personal injury lawyer: make sure that you’re suing Defendants with deep pockets or who can pay out a potential award/judgment. People ask: well, what about the house that the daycare was in? If one of the individual defendants owned, and had real equity in the house (meaning it wasn’t all mortgaged up by the big banks), then yes, the judgment can be put on the home’s title and you can get paid out of the proceeds of sale. But, there is a good chance that there isn’t much equity in the home or it’s a rental. If it’s a rental, then you sue the owner of the home in addition to the daycare. There might be home owner’s insurnace on the home, but that’s not a sure thing either. Home owner’s policies require that you disclose whether or not you’re using the home to run a business. If you lie on your home owner’s insurance policy and run a business on the home like a daycare; but specify on your application for insurance that you’re not; then the insurance company can deny you coverage for the claim. This all got me thinking. If there are so many issues putting your kid into an unlicensed day care, then why do thousands of parents across Ontario do it? Day care is expensive. These other centres might be a lot more affordable. Day care space is limited. Kids are put on to wait lists. These unlicensed facilities likely have more space. The location of the day care might also play a role in all of this. The only licensed day care facility is a half hour away, but there is a nice lady on the street who looks after 5 other of the neighbour’s kids at half the price of a proper day care. It’s closer. Cheaper. Easier. And my kid gets to know the other kids on the street. The parent might not know that the day care in unlicensed to begin with. Either way, there are some very concerning reasons as to why a parent might trust their child at an unlicensed day care. The biggest of which in my opinion is the lack of facilities in Ontario, and that they are unaffordable for many parents. 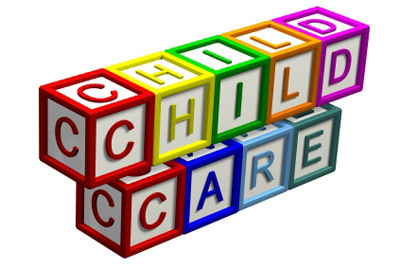 The very same issues which apply to day care facilities also apply to old age homes and nursing homes. We need more of them, and they need to be made more affordable for our aging population. Getting put on a wait list for a year doesn’t help anyone in either. I know I sound like a bleeding heart left winger, but I’d like to see my tax dollars go somewhere real and tangible, rather then to G-d knows what scandal we’re talking about now in Ontario. Legal Tip: Buyer beware. Do your research. Caveat Emptor. If you’re going to put your kid into an unlicensed home, you’re running a serious risk if anything goes wrong to your child. But for many parents across Ontario, this is the only option they have given the high cost associated with regulated facilities and their lack of space.